Orders are prepared following a procedure based on discretion and security in packaging and shipping. Orders are packaged in a padded envelope in which there is no sign of the content that is inside. This way security and discretion of the delivery of your order are guaranteed. At Dr. Underground, we have developed an appropriate packaging solution in order to deliver our seeds in optimal conditions of protection, preservation and security. Seeds are placed in a special packaging exclusive packaging did by Highcones NL company. There are different shipping and payment methods with different conditions. In all cases, once the order is processed, we will send you an email with your order confirmation, an assigned reference number along with some simple procedure instructions. The total cost of the order, including a section with the shipping cost, will be displayed before you validate your purchase. Orders over 100€ will get free shipment. This is the most recommended payment method as it is the easiest, fastest, safest and most economical system. In Europe, seed orders that total more than €100‚ paid with credit card, will qualify for FREE SHIPPING. Spain: The order is sent by SEUR courier service, delivery time is 2-4 business days from the date of issue (in the Canaries, the Balearics, Ceuta and Melilla it is sent by Certified Mail and delivered within 7-9 business days). Rest of Europe: The order is sent by Cerfied Mail, delivery time is 5- 8 business days from the date of issue. Outside Europe: The order is sent by Certified Mail, delivery time is 15-30 business days from the date of issue. Rest of Europe: The order is sent by Certified Mail, delivery time is 5-8 business days from the date of issue. Rest of the world: The order is sent by Certified Mail within 15-30 business days from the date of issue. 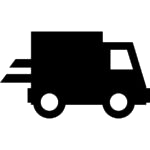 The delivery of your order is guaranteed by a tracking number provided by the carrier. This number will be sent to your email address so that you can track your order at any moment.